The technology boom we’re experiencing has resulted in a lot of exciting new products. Unfortunately, it’s also producing a lot of waste. This is due to old electronics being tossed while they’re still functional. As a result, landfills are filling up fast. E-waste is made of materials that pose an environmental hazard when they’re disposed of improperly. JDog Junk Removal & Hauling works with facilities that recycle your old, unwanted devices. Show our team members to the electronic waste you need them to collect. JDog takes your electronic waste to recycling facilities where the items are sorted, taken apart, and separated by type. Metal, glass, plastic, and other materials are recycled into new products while the parts that can’t be recycled are disposed of responsibly. 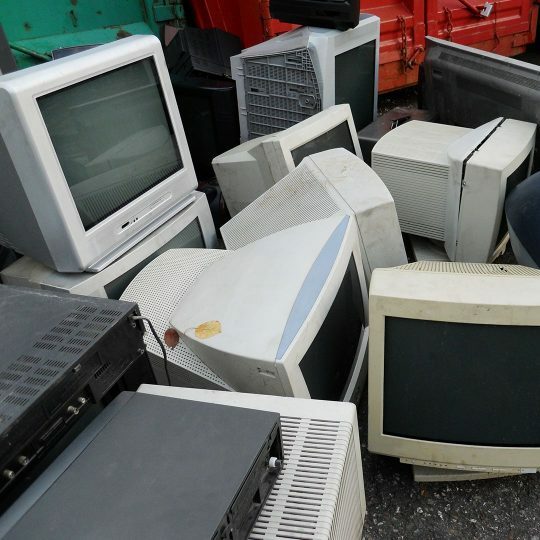 Find out more about us, e-waste removal, and the other junk we remove.